The Great Southern region of W.A. is a true gem and one of Australia's best kept secrets. It is packed with world class places of interest. 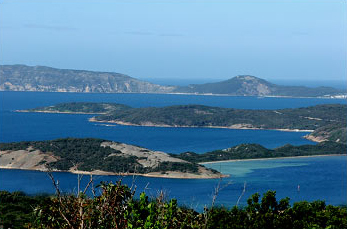 Pristine coastline, mountains and bush all close to Albany. Wineries, Eateries, street Cafes and a lively arts and entertainment scene, cater for a wide range of interests. Most of us have chosen to live here for the lifestyle and beauty of the region, with the historical buildings and location of the University of W.A. annexure it has developed the feel of a University town. It is a growth centre and continues to attract a wide variety of people relocating from the cities. It is a stunning place to live. The majority of Pioneer doctors have admitting rights to the local hospital. There are opportunities to practice procedural skills in obstetrics, anaesthetics and minor surgery, emergency medicine, as well as other specialities such as sports medicine, occupational medicine and palliative care. Work in a new $170 million state of the art, modern, innovative facility with and excellent collegial setting. This busy role of Ward Round General Practitioner is unique and interesting, offering the successful candidate flexibility in term of working days, as they will participate in a rolling roster of five days on, three days off.